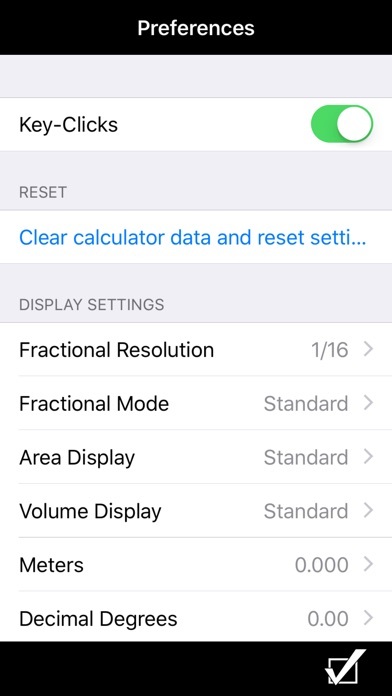 Feet-Inch-Fraction Construction-Math Calculator by Calculated Industries The official Construction Master® 5 from Calculated Industries is now available for your iPhone and iPad. And while perhaps obvious, if you change from an iOS device to a non-iOS device, you WILL need to buy a new license as they are incompatible. 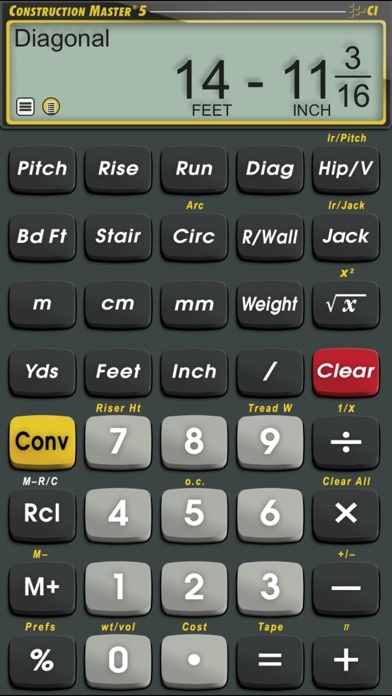 Built with the same features and functions, and with the same core engine that powers the industry-standard advanced construction-math calculators from Calculated Industries -- and includes a full User’s Guide built in as well as the ability to press and hold a key for specific help! Ideal for Contractors, Builders, Architects, Engineers, Tradespersons and Advanced Do-It-Yourselfers Need to quickly and accurately solve a construction problem when meeting with a client? Pull out your iPhone or iPad, tap on the Construction Master 5 icon, and you’ll have an answer in seconds. • You get ALL of the functionality of the handheld Construction Master 5. • Solve tough construction-math problems and reduce errors on the jobsite or in the office. • Reduce costly errors and save time and money. It will help you and your crew on every phase of your projects — estimating, bidding and building. 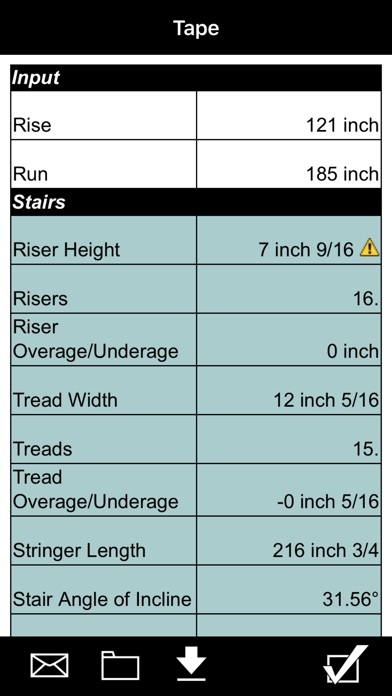 FEATURES: • Created by Calculated Industries, the originator of the award-winning Construction Master calculators • All the functionality and solutions of the handheld Construction Master 5 and optimized for the iPhone/iPod touch user • Powerful built-in solutions make it ideal for completing layouts, plans, bids and estimates • Work in and convert between all building dimensional formats: feet-inch-fractions, inch fraction, yards, decimal feet (10ths, 100ths), decimal inches and metric (m, cm, mm) • Built-in right angle functions simplify square-ups, rafters, slopes and more • Calculate Areas and Volumes Dimensional Math and Conversions • Feet-Inch-Fraction, Inch Fraction, Yards • Decimal Feet (10ths, 100ths), Decimal Inches • Preset Fractions (1/2" through 1/64") • Full Metric Function (m, cm, mm) Right Angle Solutions • Complete Right Angle/Rafter Calculations • Pitch Key (Slope and Grade) • Rise, Run, Diagonal/Common Rafters • Hip/Valley Key • Jack Rafters Key • Irregular Hip/Valley and Jacks • Stair Layout Key • Diagonal Key • Expanded Rake-Wall Area and Volume Solutions • Square and Cubic • Basic Circular Calculations • Weight per Volume Conversions Special Functions • Board Feet • User-Definable Preferences • Entry Editing Backspace Key – with a swipe of a finger • Cost per Unit (Total costs based on unit price) • Advanced Paperless Tape • Memory function TRADEMARKS: Construction Master® is a registered trademark of Calculated Industries, Inc. I have used hand held model since the 1980s. I have repurchased 3 times. The new help screens are a big bonus. I promise that you will not be sorry. Keep up the great work. Gobobo IN. Love your product. Used your calculators for years. Great app just like the real thing. App is worth the money. 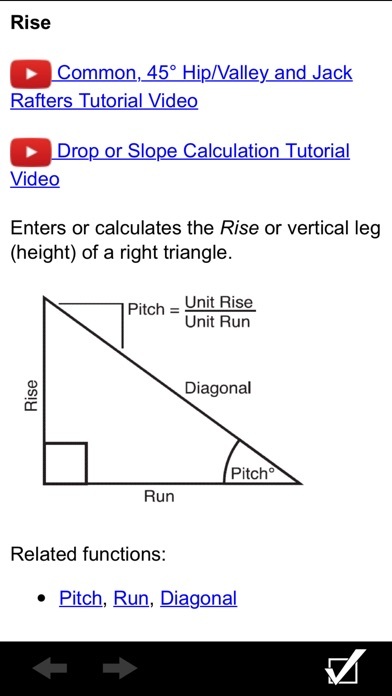 Once you use the app and understand how to apply it basic carpentry roof calculations stairs areas concrete rake walls all become second nature. I have the original construction master calculator and it has a delete/backspace button but this app doesn't, so if you make a mistake you have to start completely over. Please add one...... Thanks. Other than that app works great. I use it on a daily basis. This is a must have if you are in any type of construction. 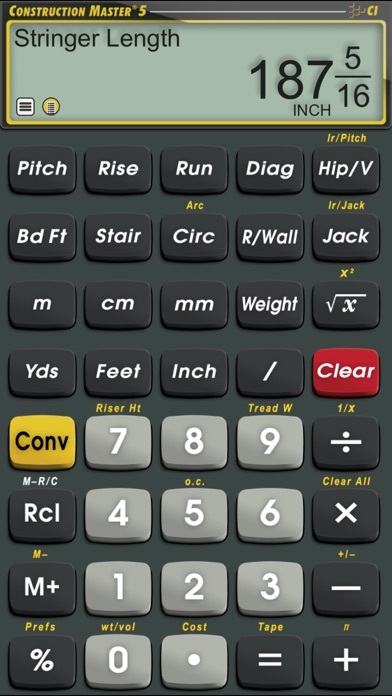 I bought a CM5 calculator several years ago and now I have the app on my phone. Takes a little while to learn how to use but be ry useful in almost every type of construction. Worth the money! Just like the calculator I grew up on, but now it's with me all the time! If you are a professional be careful, it will not give you the proper amount of concrete bags. I don't think that this thing realizes that there is .0222 yards in 1 80 lb. bag. Example: 5x5 at 4" deep is 13.9 bags, this calculator insists that it is 12.5 bags. I am glad I am not using this in the field. I would be really screwed and you don't want to be short. All of the Construction Master series has the same problem. I have them all and they are all wrong. I have been using Calculated Industries products for many years and find this app to be great addition. I can see myself with few apps as they bring more industry specific calculators on board.